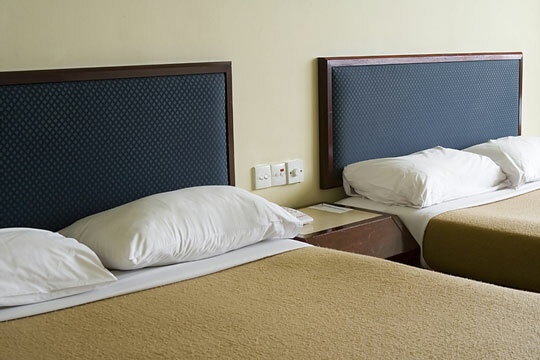 A One-Star hotel or motel is a clean and comfortable establishment which offers limited services. These establishments provide essential, no-frills accommodations and appeal to budget-minded travelers. Most one-star hotels and motels are located near affordable attractions, major intersections, and public transportation. They are usually within walking distance of low-cost or fast food restaurants, but they do not feature an on-site restaurant. On this page, you will find a selection of hotel and motel chains whose properties are often considered "one-star" caliber. Note that selected hotels in these chains may be worthy of a higher rating. Individual properties in the Quality Inn, Best Western, and Ramada hotel chains vary considerably in features and quality, so we have assigned them a "one-or-two-star" rating. Known for affordable rates, real value, and comfort. Visitors enjoy free high-speed Internet access plus a swimming pool and exercise room at many locations. Some locations merit a higher rating. The world's largest hotel brand features more than 4,000 diverse hotels in 80 countries. Each hotel reflects the charm and culture of the area in which it is located. Some locations merit a higher rating. Known for great service you can trust. Price-conscious guests appreciate the affordable travel accommodations including free, deluxe continental breakfast and free local calls. Rodeway Inn specializes in meeting the unique needs of senior travelers. Well-known mid-price hotel family features nearly 500 hotels in 14 countries. Guests enjoy in-room coffee makers, AM/FM alarm clocks, complimentary weekday newspapers, free long distance access, and a telephone with data port. Featuring over 800 low-priced hotels located in convenient locations, this hotel is geared to those traveling on a budget. Guests enjoy a free continental breakfast, free cable television and free local calls. Over 200 locations across the U.S. and Canada welcome their guests with clean, comfortable accommodations, budget rates, and free parking. Pet-friendly economy motel features free local phone calls, free morning coffee, and data ports. Their motto is, "We'll leave the light on for you."